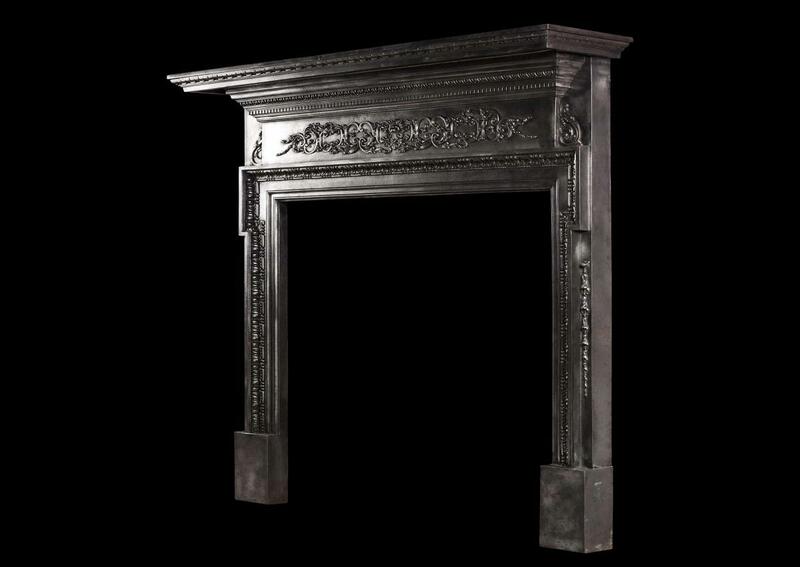 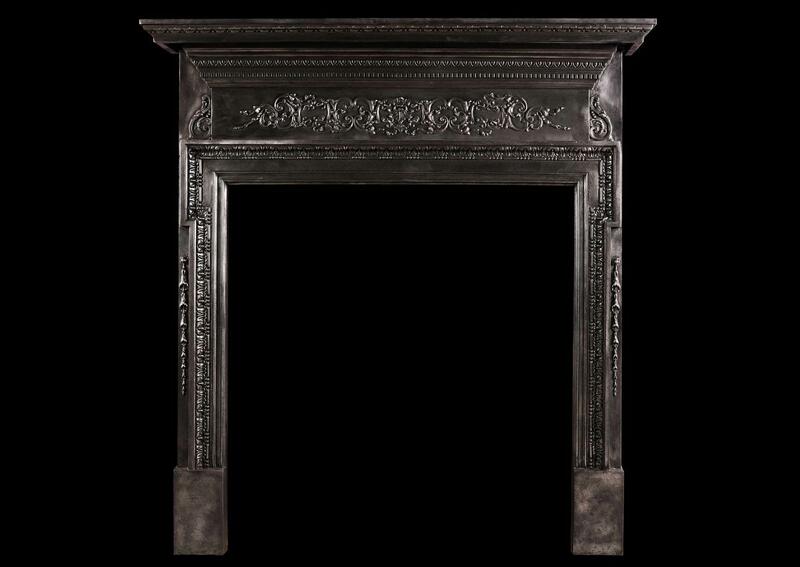 A late 19th century cast iron fire surround. 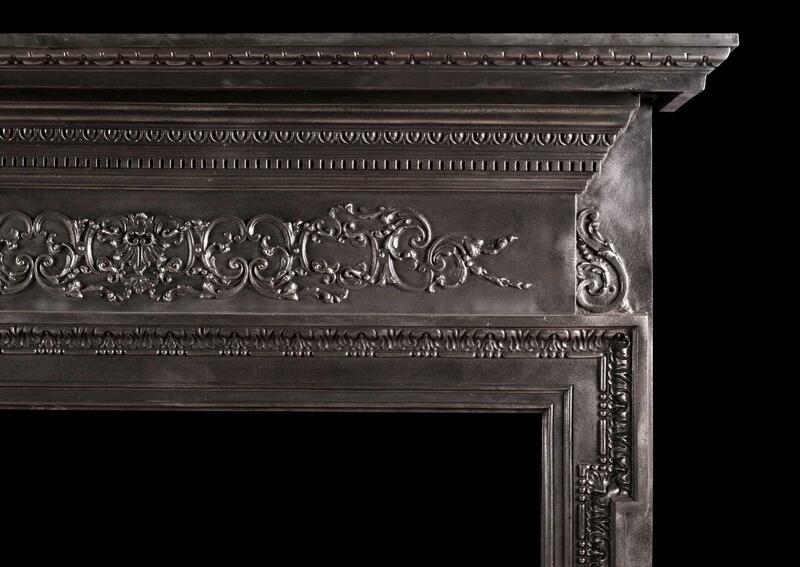 The filigree detailing to the frieze with scrolls and foliage, and jambs with bellflower drops and leaf moulding. 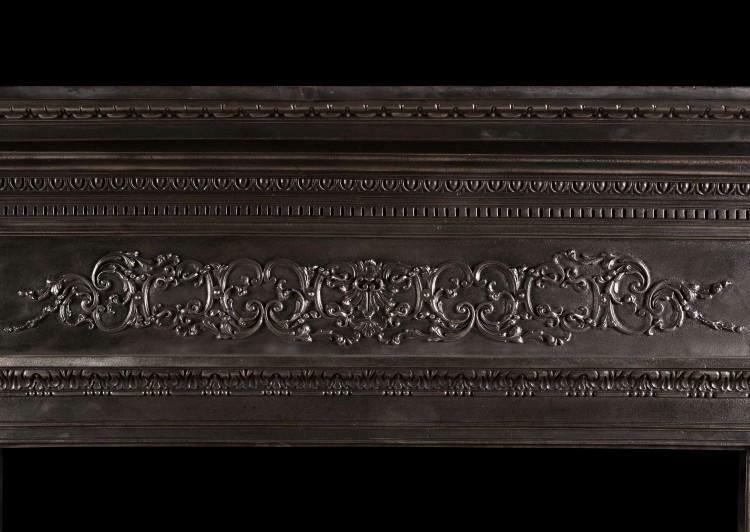 The shelf with dentil and egg and dart mouldings.